Hivve makes better learning environments for students and teachers: flexible, environmentally friendly, light filled spaces which harness technology to ensure a healthy, comfortable indoor environment — giving everyone room to breathe, and learn. Hivve is a multidisciplinary team of design, engineering and technology specialists, handpicked to create a game changing replacement for out of date, ageing education infrastructure that supports 21st century teaching and learning. Hivve offers innovative funding arrangements that can be tailored to work within a school budget and is specifically designed to be a fast build, multi-storey, permanent solution which minimises disruption to regular school activities while capping construction cost and risk. Hivve buildings and technology combine to deliver environmentally sustainable and economically responsible outcomes for schools over the long term. Hivve was created in response to the growing need for high quality, sustainable social infrastructure, particularly in the education sector. Hivve’s team based in Arndell Park, Western Sydney have over 40 years of experience in designing and constructing high quality modular and pre-fabricated buildings. Seeing the looming shortage of education infrastructure firsthand, the Hivve team set themselves a goal: to design a holistic, modular building and technology system that could rapidly, sustainably and economically meet this need. More importantly, they wanted to design a learning space which centered on the needs of students and teachers, because research shows that the quality of the classroom environment has a direct impact on learning. This meant prioritizing the air quality of the learning space, increasing natural light and ventilation, addressing thermal comfort and acoustics and bringing nature indoors. David Wrench, Managing Director of EPB, together with Richard Doyle, Director of Hivve Technology, lead a small, multidisciplinary team of experienced design, engineering and technology specialists who have joined forces to create Hivve. 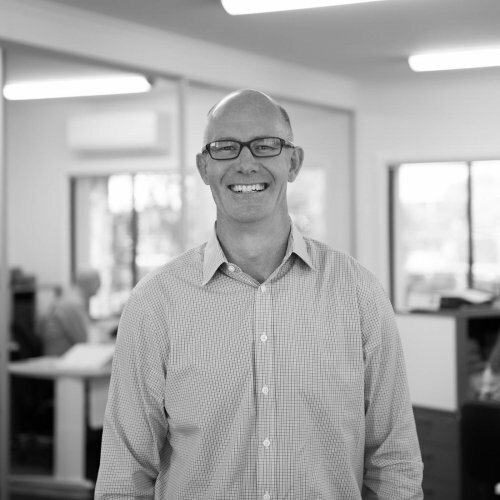 As Managing Director of the EPB modular building business for the past 12 years, David has extensive experience in prefabricated modular design and construction. Trained as an engineer, he has worked in the banking and energy sectors, having successfully established and grown energy businesses over the past 20 years. David has a real passion for innovation, a love of design and the belief that combining latest design with technology innovations will enable classrooms to meet the needs of future generations of learners. Richard is an experienced senior finance professional and energy market specialist with more than 20 years experience in Australian Energy Markets. Richard is also an Independent Adviser to ASX listed companies. 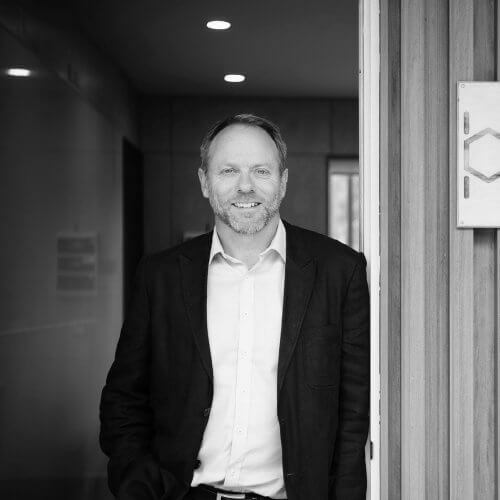 Richard has a passion for developing entrepeneurial and sustainable solutions to energy market challenges for both the government and private sectors. Richard is currently Director of Hivve Technology. Hivve has a number of key partners. Together the team created Hivve, bringing together all the elements needed to optimise learning sustainably. Arup Group, a leading international design and engineering firm, provided structural engineering expertise to allow Hivve to be flexible, structurally sound, meet all building code requirements with enhanced acoustic, fire, structural and vibration performance. Arup and Hivve have developed a prefabricated, modular school building that can be stacked in low, medium and high-rise configurations and then deconstructed and reconfigured as school needs change. Tesla is accelerating the world’s transition to sustainable energy with electric cars, solar panels and integrated renewable energy solutions. Hivve IQ is a patent-pending intelligent building management system with fully integrated solar PV energy generation. The building management system combines real time energy generation and use metering with real-time environment monitoring. It enables the collection of performance data to help schools manage energy demand as well as providing teachers with a web-enabled in-classroom teaching tool. 3 Hivve buildings are currently being tested in schools as a pilot in partnership with ARENA, the Australian Renewable Energy Agency throughout 2018.